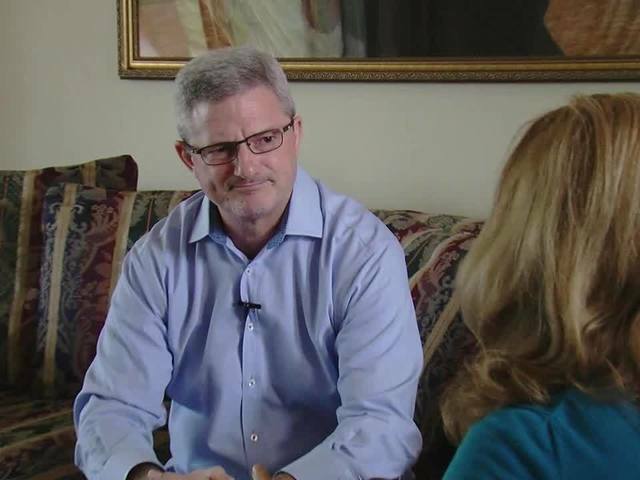 Former Arizona Department of Economic Security Director Tim Jeffries blames a "manufactured crisis" for his forced resignation after less than two years on the job . Jeffries was forced to resign in November, after being recruited from the business world to help Gov. Doug Ducey reform government in 2015. "I was implementing the governor's policies and directives and desires in a way that I've done other places," Jeffries said. Jeffries says the governor instructed him to raise quality at the Department of Economic Security, which provides social services, welfare and unemployment benefits. He says that included firing the worst performers. 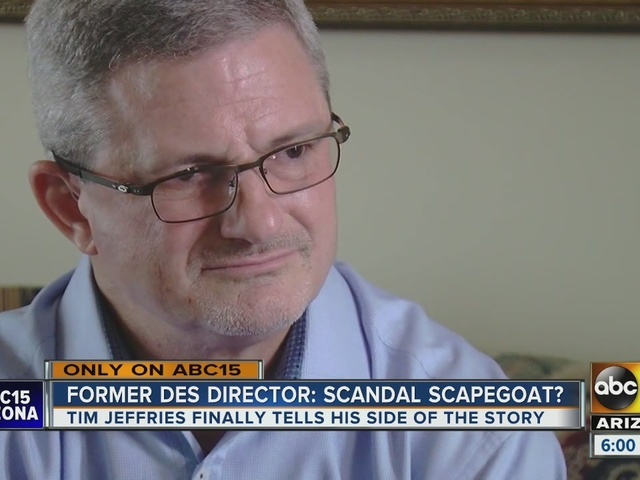 "There was a charge to reduce the agency by two percent, which I achieved, and I wonder if anyone else achieved," Jeffries told ABC15 in an exclusive TV interview. Due to state personnel system changes approved during the Gov. Jan Brewer's administration, most of DES's 7,500 employees were at-will, not covered by civil service protections. Jeffries said he was personally involved in 20 to 30 of the 475 terminations. He drew criticism when he classified some of the people fired as "bullies" and "liars." He stands behind nearly all of those decisions today, although he is apologetic to anyone who truly was treated unfairly. He also regrets "unforced errors," including sending emails to staff about a religious pilgrimage and legalizing marijuana. "Were mistakes made a long the way? Perhaps," Jeffries said. "We are a human venture, which means we are as imperfect as it comes." The former director says Ducey never discussed what would happen if employees started complaining, and by fall of 2016, a growing number of ex-DES employees aired their grievances in the media. As the scandal grew, Jeffries says he was becoming a political liability for the Governor, and he was being instructed not to defend himself publicly. "Loving people and trusting people is one of my greatest strengths, but it's also an epic blind spot," Jeffries said. "I loved and trusted some people that did nothing but slash me up and down behind my back." Jeffries was also hit by allegations he may have acted improperly by buying alcohol for employees in Nogales and by storing guns and ammunition in the basement of DES headquarters. He says both were based on half-truths. Jeffries was forced to resign the day before Thanksgiving. In December, the Department of Administration offered to rehire 40 DES workers. "I regret not being more cognizant and aware of politics, let alone the viciousness of politics," Jeffries said. Jeffries questions the impact of his ouster on Gov. Ducey's mission to reform government to operate more like a business. "I was his top transformer, and I am gone," Jeffries said. "So how vigorously do you think the other agencies directors are moving? Think they are going to take any chances?" Jeffries tells ABC15 he says he still "loves" his former employees, many of whom he visited during a series of town hall meetings. He says his days at DES were some of the best of his life. He says overall employee satisfaction and customer service improved due to his reforms at the agency. Watch an extended version of the interview with Jeffries in the player above.